These are a great combination of sweet and tangy! Place the chicken breasts into the electric pressure cooker insert with the hot water. Sprinkle a little salt and pepper over the top. Drizzle BBQ sauce over the chicken breasts and then pour the pineapple juices around the chicken breasts and the pineapple on top of the chicken. Once cooked, pull out the chicken breasts and the pineapple and add to a bowl, then shred with 2 forks. Mix in the chopped red onion, if you didn’t add it to the pressure cooker. 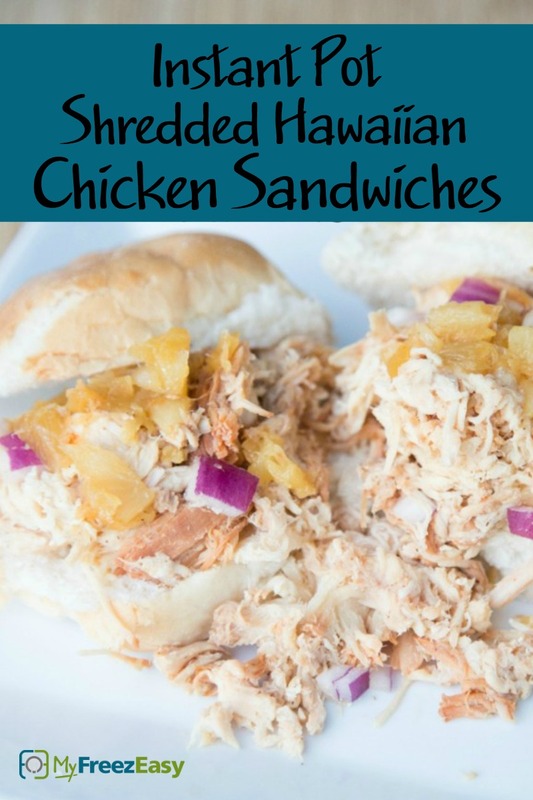 Add shredded chicken and sauce to sandwich buns. 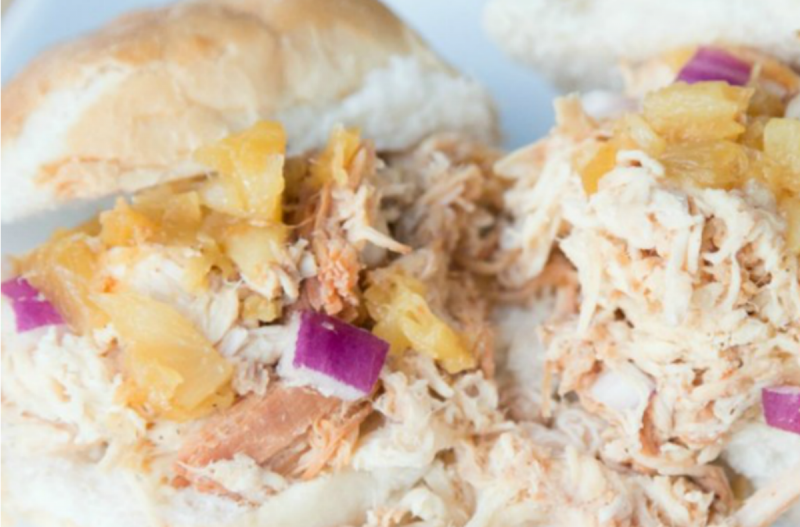 Serve Instant Pot Shredded Hawaiian Chicken Sandwiches with fruit and chips. Finely chop 2 small red onions. Put baggie in the freezer and freeze up to 6 months in fridge freezer or 12 months in a deep freezer. Thaw in the fridge overnight, or a warm bowl of water for about 20 minutes, before adding contents of bag plus hot water to electric pressure cooker insert. Pressure cook as directed. Thaw, add hot water to Instant Pot and then add contents of baggie. Cook on high pressure for 20 minutes with sealed valve; then natural release. Shred chicken with sauce. Serve on buns with fruit and chips.